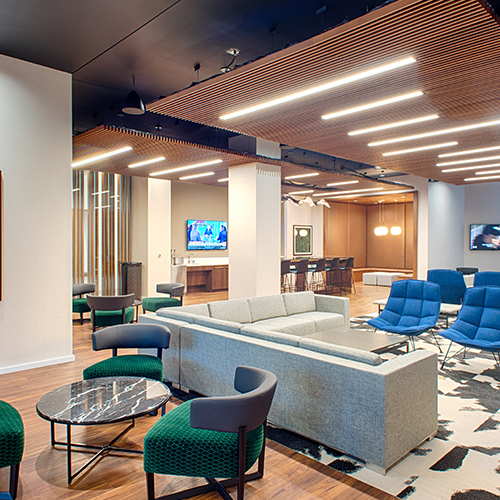 New tenant lounge with ample modern seating and dining area plus large flat screen TV. 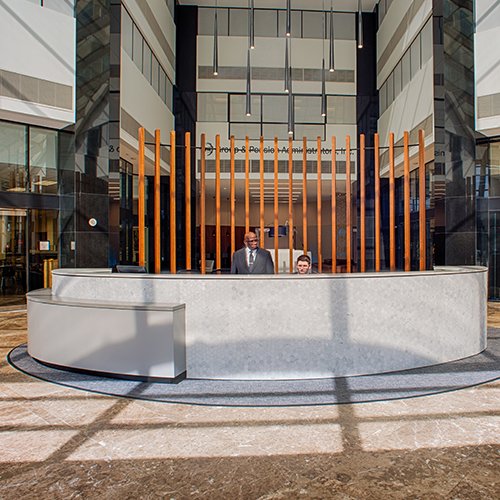 The conference center, located in Park Central 8, Suite 120, is available to all tenants of Towers at Park Central for reservation. 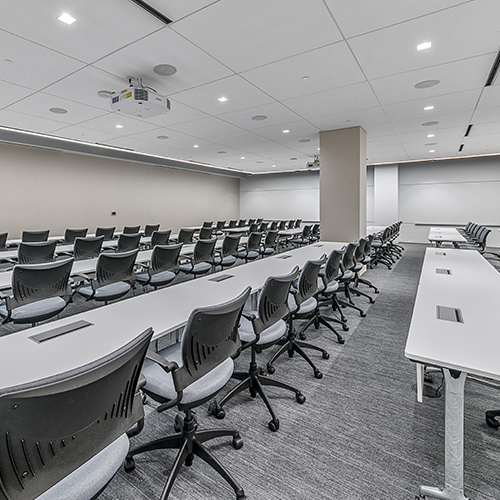 The center can comfortably seat 55 people and is equipped with state-of-the-art technology, a podium and serving counter within the meeting area. Park Central’s conference center also includes a full kitchen with an icemaker, refrigerator and coffee maker. The tenant-only fitness center located on the first floor of Park Central 9 is open Monday through Friday from 5:30 a.m. - 8:00 p.m. 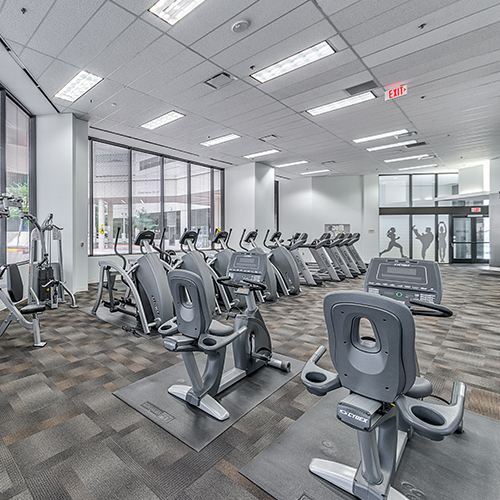 Equipped with state-of-the-art equipment and full shower facilities, this free-of-charge fitness center is available to all tenants. Fill out a waiver here. Soon to be completed, a new outdoor activated experience right at the entrance of every building. Towers at Park Central is outfitted with a public monitoring system, life safety system and an in-house courtesy officer staff. 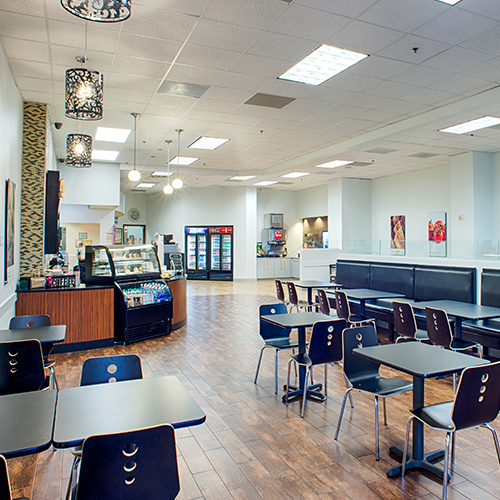 At Towers at Park Central, there are several convenient dining options located within the office park. In Building 8, tenants will find Murphy’s Deli with a Starbucks and The Gateway Sundry Shop. Westin in the Park provides additional dining options within walking distance. 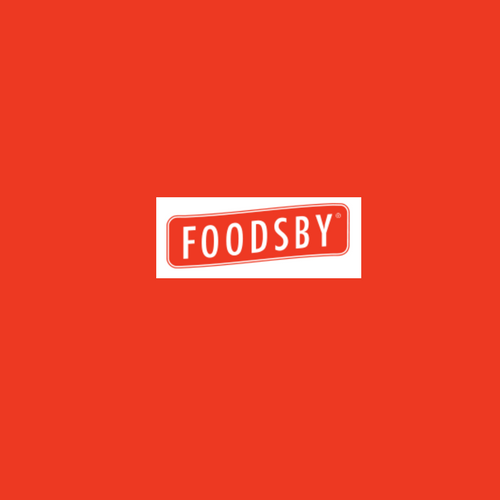 Foodsby makes lunch easy and convenient for business professionals. To check out the rotating daily options, visit our tenant services page. Concierge service at the Towers at Park Central is designed to provide tenants with the highest level of service available. From the smallest request such as ordering flowers to the complete planning of a building party, concierge duties are limited only by the imagination. For a complete list of services, please click here. 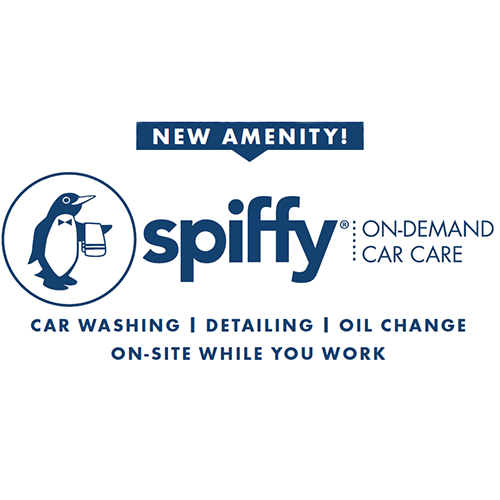 Spiffy Mobile Car Wash and Detailing is Convenient, Trusted, Professional, and GREEN! 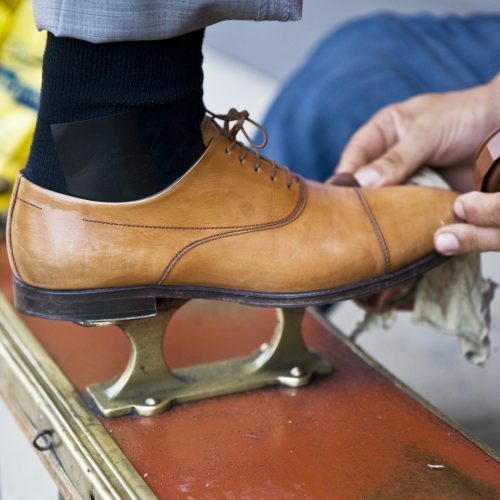 A Brand New Shine is available to Park Central tenants for shoeshine and repair service every Wednesday from 9:00 a.m. until 3:00 p.m. and is located in the walkway between Park Central 7 and 8. 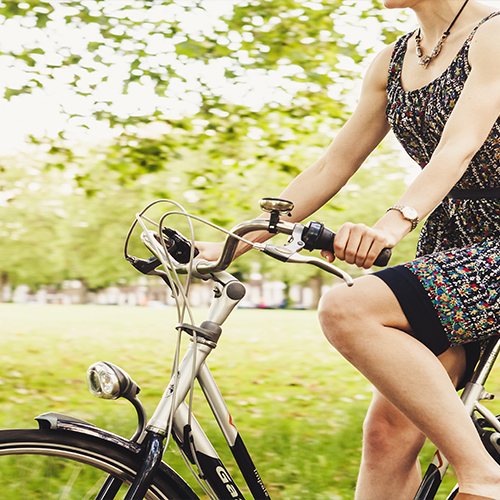 Located on the first floor of Parking Garage 9, the bike storage room provides tenants with a secure place to leave their bicycle should they choose to use it to commute to work or to exercise at the nearby bike paths. Fill out a waiver here. 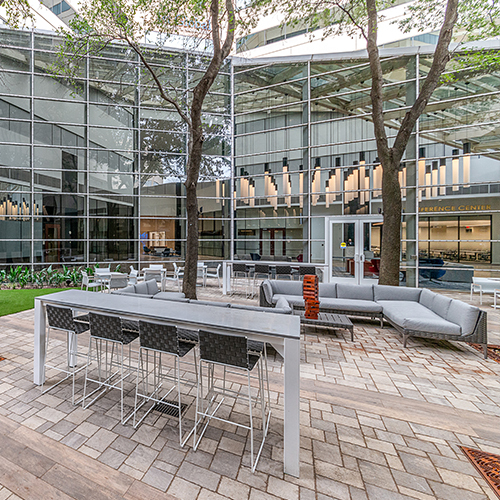 Newly renovated and adjacent to Towers at Park Central, The Westin Dallas Park Central offers outstanding amenities and convenience to visiting clientele with a direct indoor connection to all three buildings. 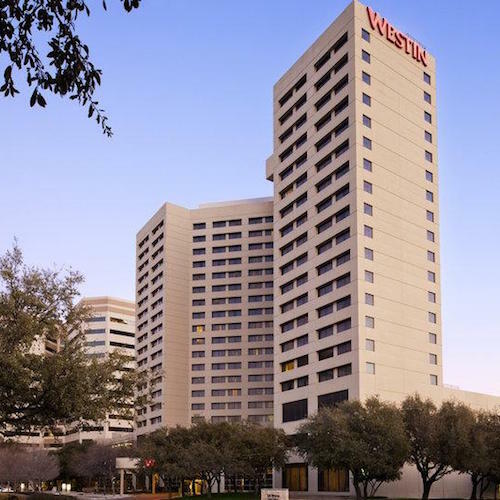 Click here to view The Westin Hotel.